We focus on fresh, quality food and damn fine coffee! Our great team delivers fast and friendly service. So whether you’re flying through for a coffee or settling in for a long lunch, we’ll take good care of you! Started 10 years ago in a converted garage, The Laneway Café has become a firm part of the culture in this cool little suburb of Cammeray. Owned and run by the Christopher brothers, James and Will, who also operate nearby The Public bar and restaurant. Set back off the main Miller Street strip, The Laneway has seats inside or out in it’s sun-drenched courtyard. 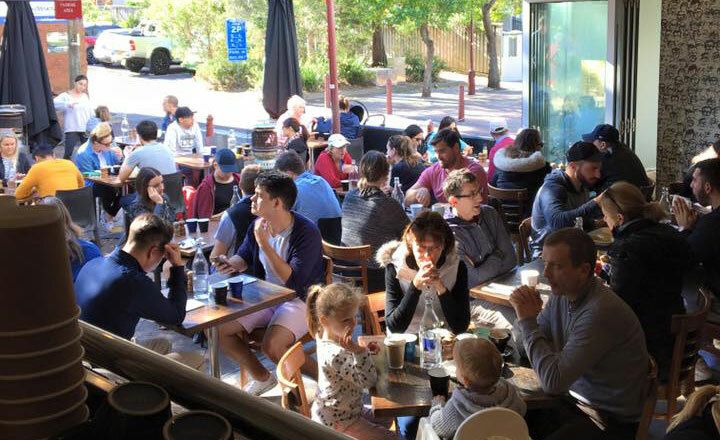 With handy 2 hour free car parking right next door, always a great crowd and often a dog or two to pat, this local offers a solid and reputable go-to option for brekkie, lunch or coffee. As a licensed venue, a cheeky drop of wine or cold beer goes down a treat and offers another reason to make this your new favourite café. Yummy brekkie! The corn fritters were delish and bacon was crispy just how I like it, they had forgotten our drinks so gave us as free cake to share which was lovely of them, can't wait to go back.